At the moment if you park in front of the Old Lee County Courthouse you have a limit of 2 hours. However, that will soon be drastically shortened. 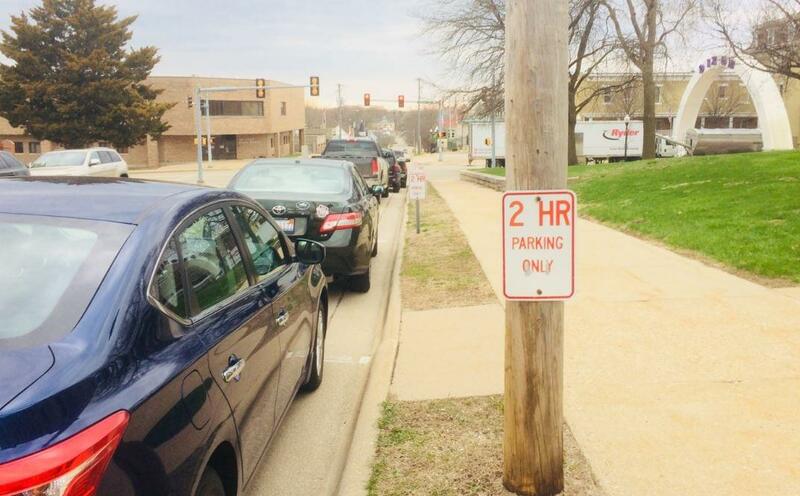 Dixon Police Chief Steve Howell came before the Dixon City Council Monday night to see about lowering the 2 hours parking limit to 15 minutes. He said he was approached by the County Board and Lee County Sheriff John Simonton. Howell went on to say they idea is to prevent people from camping out in front of the courthouse. The city has Mike Wilcox who patrols the downtown and trys to makes sure visitors obey the parking limits. Howell said they are not sure if the Old Lee County Court House will be added to his route. To coincide with the changes Howell said he would like to raise the parking limit in front of City Hall from 10 minutes to 15 minutes. Howell said it would be best if there was a uniformed time for both the Courthouse and for City Hall.